There's currently a whole crop of Internet celebrities created by Vine. Some are popular among a young, passionate fan base while others are beginning to turn their online fame into real life success, but only a select few will go from Vine celebrity to full-fledged Hollywood star. King Bach is one of them, so remember his name — actually, no, remember Andrew Bachelor. On Vine, Andrew is known as King Bach, but he'll probably use his real name in the real world. He's been on the comedy radar for a while now. When The Daily Beast wrote about his potential last August, he had 1.9 million Vine followers, today he has 4.8 million and counting. Then there are his 137,000 Twitter followers and 276,000 YouTube subscribers, all waiting for the next comedy bit from the 25-year-old. But his talent might spell bad news for followers, as Andrew's schedule seems to be filling up with more and more offline opportunities. Last year, Andrew was given a sketch comedy pilot for BET and was cast in a recurring role on Showtime's House of Lies. Those are some solid prospects, and it all started with Vine. Andrew is able to be legitimately hilarious in six seconds or less and people caught on. 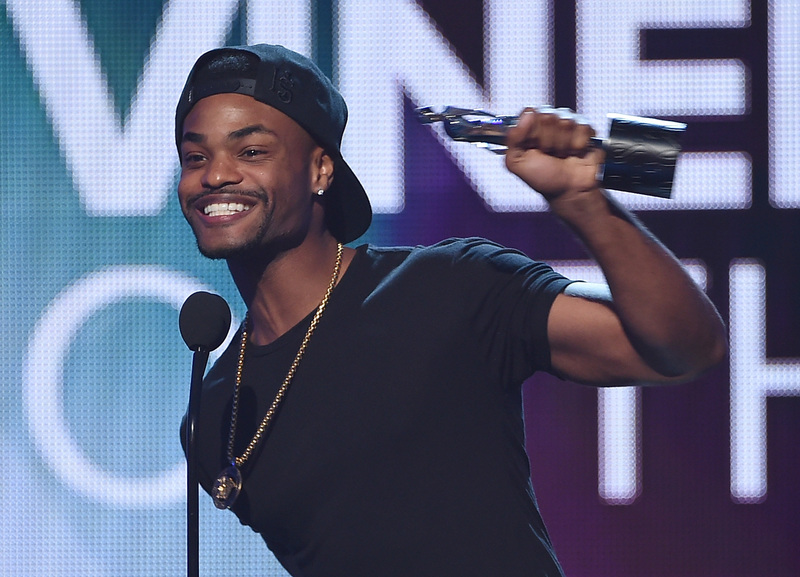 Of course, we can't talk about "King Bach" without his most notorious Vine. Don't worry, you can have that catchphrase on a T-shirt. It must be a bestseller, because the Vine itself has gotten over 576,000 likes and 372,000 revines, numbers that put other supposed Vine celebrities to shame. They don't exactly reflect the average response to his Vines, which is an impressive range of over 100,000 to the high 200,000s. Take this Gravity remake of that classic backflip vine. It has about 120,000 likes and 61,000 revines. Though just a fraction of the original and certainly not Andrew's best, those are numbers other Vine stars achieve only with their most popular videos. But there's more to Andrew than backflips. Here's a Vine that's a pretty good representation of his comedy. Funny, relatable and loud, this one got 288,000 likes and 213,000 revines. Girls appear a lot in Andrew's Vines, whether he's mocking them, himself or relationships in general, or adding to his "ayo ma lemme get yo number" series. Another frequent topic of his is race, with many of Andrew's Vines poking fun at stereotypes, like the one below. In case you were wondering, that one has 193,000 likes. And now that Andrew is getting noticed in Hollywood, many of his Vines feature celebrities. He has a few that feature the House of Lies cast, while others have stars he's just friends with, like New Girl's Lamorne Morris. While you're waiting for Andrew's show and guest role to start, there are more places to see him than Vine. His YouTube channel, BachelorsPadTV, features a lot of original content, like his most popular video, a parody of the movie Flight with over 780,000 views. He's also going on a live tour that will include stand-up, improv, music and more. Basically, Andrew, King Bach, whatever you want to call him, is slowly going everywhere. From the Internet to comedy clubs to TV and probably more. It's a little too late to say you knew him before he was famous, but if you join his huge following now, you can say you knew him before he was famous-famous. But you better hurry up, there's not much time left before King Back takes his throne.